A self-described African American atheist, born of a Muslim father and Jewish mother, hungers for a Bar Mitzvah in Jerusalem. Abdul Kareem was born in Sierra Leone, West Africa, to a Muslim father from Sierra Leone and a Jewish mother originally from Dnepropetrovsk, Ukraine. Abdul - a self-described atheist - now lives in Washington D.C. and is a practicing social worker. Growing up in Sierra Leone and receiving his education in Christian schools he had no affiliation with Judaism. But on a trip in the region, Abdul decided to go to Jerusalem for a day to photograph the Dome of the Rock mosque at sunset. Through the Internet, he booked a bed at Abraham's Tent in the Jewish quarter of the Old City, and upon his arrival, fell in love with the people and the place. Abraham’s Tent is an open home and hostel for young adults visiting Israel. It provides the opportunity to advance beyond the initial inspiration experienced when coming to Israel and a chance to create a lasting connection with Judaism and Israel. The program is unique in its all-encompassing approach, providing lodging, social events, tours, workshops, Shabbat meals and more. The network center offers a combination of tools and resources to serve as an individual’s launching pad for further discovery and opportunities available to them in Israel and abroad. For Abdul, it was a perfect match. After touring around the Old City he joined the guests and staff for a barbecue, eventually staying up until the wee hours of the morning, discussing life, Judaism and spirituality. While speaking with counselors Meir Dubrawsky and Mendy Baich about the local tourist sites, Abdul was told that the next morning hundreds of Jewish boys would be coming to the Kotel (Western Wall) to celebrate their Bar Mitzvah. It would be an amazing site to see, he was told. The next morning, Abraham’s Tent co-founder and director Yosef Eichenblatt, the counselors and Abdul walked the one-minute distance to the Kotel, passing on their way the excited crowds of people banging drums, blowing the Shofar (ram's horn), singing and dancing. "What's going on?" Abdul wanted to know. "It's all part of the Bar Mitzvah celebration," his companions explained. 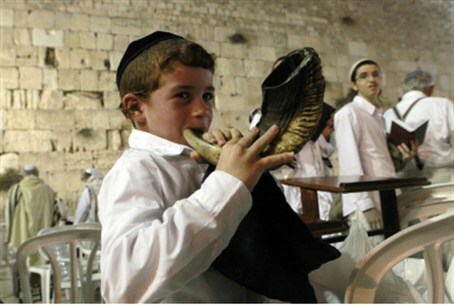 Reminding his new friends that he was not very emotional Abdul entered the Kotel plaza to have his own Bar Mitzvah. He toured the area and learned about its history, then donned a Talit (prayer shawl) and Tefillin (phylacteries) for the first time, learning their significance, and about the meaning of being a Jew. Then Abdul approached the Wall to pray. Abdul was given a chance to experience something he would otherwise have never been exposed to, and was shown what his heritage and ancestry is all about. It also turned out that counselor Meir Dubrawsky’s uncle leads a Jewish congregation in the D.C. area, not far from where Abdul lives. “It’s just another day at Abraham's Tent," the rabbi commented. "Abdul will now be in touch with the rabbi and Jewish community in his hometown, neither of which he ever even knew existed. G-d willing the spark that was ignited in Abdul’s soul will continue to shine and grow and be a source of light to his environment. It’s people like Abdul that remind us why we are here and how important this work really is”. Abdul ended up extending his stay at Abraham’s Tent and spent much of his time asking about Judaism and visiting holy sites. He found out that the Jewish name Ovadia and his name Abdul Kareem both mean Servant of G-d. He said with excitement, “I have a Jewish name!” and went around telling people about his newfound name. I just got back to the US on Monday and am back in the office. I wanted to send you a note thanking you for being so awesome! I had a fantastic time hanging out with you guys and really appreciate the entire experience in ways I'm only beginning to grasp. You guys were great, friendly, informative, and hospitable! You made my stay in Jerusalem easier and more comfortable than it would otherwise have been. I learned a lot about Judaism (I realize I barely scratched the surface but am now interested in reading further), Jerusalem, and Jewish history in general. I still struggle for words to describe my experience at the Western Wall: all I can tell people is that I felt a power and energy I had heard of but never experienced. I was lost for words and tears flowed easily and uncontrollably. I felt at that moment only peace, acceptance, and gratitude. The only prayer I said was for my clients, that they could find the strength and peace of mind to cope with all that life has put them through. Give my best to Mendel, Chani and Joseph and everyone else whose hospitality and generosity helped make my time in Jerusalem so memorable. If you ever find yourself in the DC area, please hit me up. Take care. I look forward to further conversations.